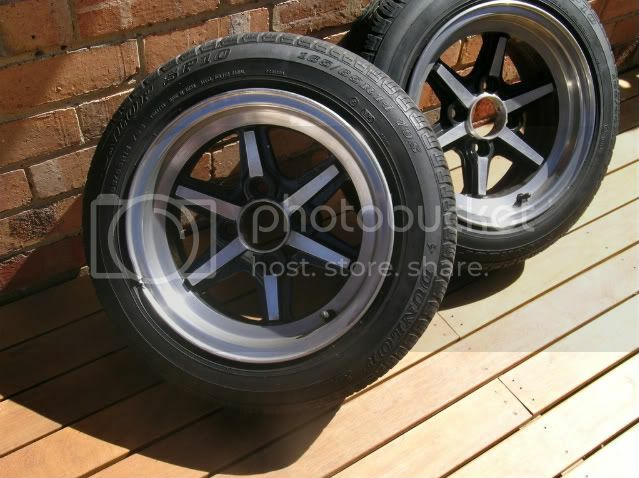 Looking at selling my wheels. 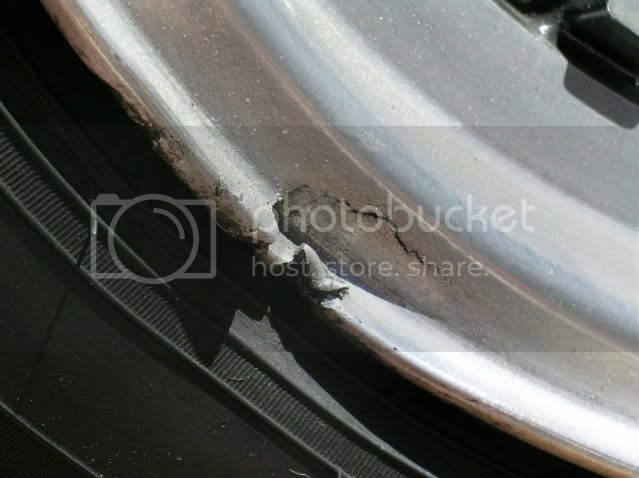 One rim has un-repaired damage which is a crack around 1cm on the lip (Still holds air fully). Ive had quotes to have it fixed for $100 but haven't had the time or a spair set of wheels to get it done. Apart from that there is very little gutter rash. Will come with %80 tyres alll round, 165 and 175 65's for a bit of stretch. Last edited by Ksevn-T; 15th February 2009 at 01:17 PM. Reason: Miss-spelt topic title. For some reason i had shikari in my head, but your right. They are sharaks. where did you gwt quoted to get that fixed? Last edited by hitoriko; 31st January 2009 at 03:58 PM. Ive got a number to a guy over in coburg who can fix it up cheap. The guards havent been rolled, Just lipped, only to fit another set of wheels i had. 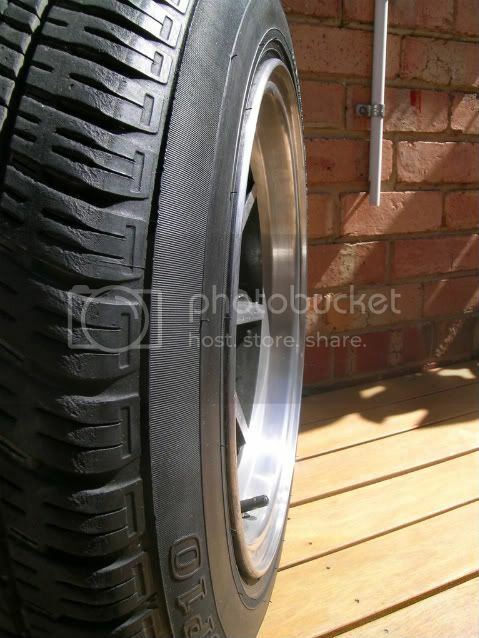 Dont think stock guards need rolling with these wheels.